All roads lead to the Hochfirst Saig again. >> Go on a discovery tour! will find his very own “paradise”. As a guest of the Hotel Hochfirst, you will get particularly favourable conditions to enter your “paradise”, either with the Hochschwarzwald-Card or with a discount on spa tickets. 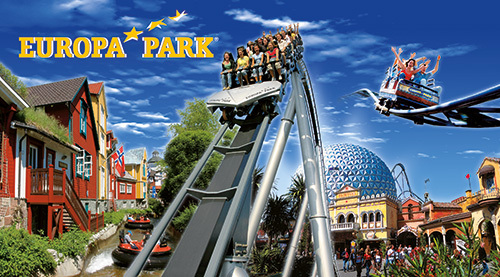 More than 100 attractions and fantastic shows as well as 18 European themed areas surpass even the most daring expectations. Whether with your family or with friends, enjoy unique moments and relax beyond daily routine. Located in the cultural and scenic three country area of Germany, France and Switzerland, the world’s largest seasonal amusement park of the world is waiting for you with always new superlatives. The Steinwasen Park is a magical theme park about 40 minutes drive from our hotel. You can watch marmots, ibex and other mountain animals in the game enclosure. The Coasterbahn, the RiverSplash whitewater ride and other attractions promise speedy rides. Irrespective of the weather, “Luxis Kinderland” offers over a thousand square meters of indoor fun with a climbing park, slides, BumperCars, FunShooters, a SpiderTower and much more. 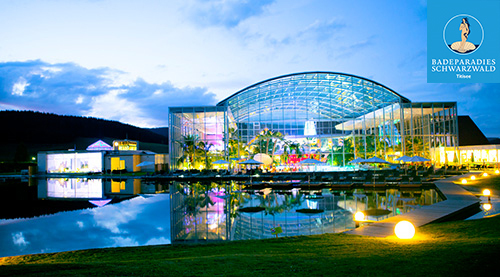 With the Hochschwarzwald Card you have free admission every day. Great fun in almost any weather! Germany’s most spectacular toboggan run awaits you at the Hasenhorn Mountain in Todtnau. Buckle up and off you go – a unique driving pleasure for young and old speedsters. You can reach the starting point very easily with the modern double chair lift. On a rail-guided sled you drive the 2.9 km long route down into the valley. Easily you control the speed yourself. Have a ride full of surprises with fun waves, steep curves and three great roundabouts. Off through the snow! 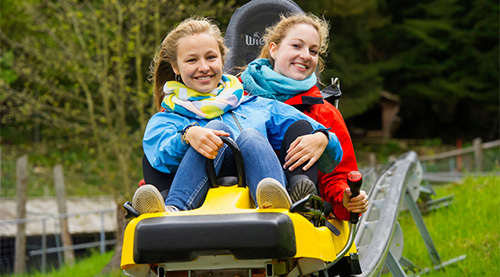 You can ride the Hasenhorn summer coaster also during winter. The toboggan run is nearly weather independent. 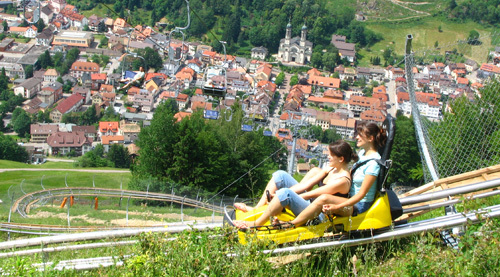 Besides to that, with good snow conditions in winter you find a 3.5 km winter toboggan run close by. Enjoy each day one free ascent and one free descent with the “Hochschwarzwald-Card”. Experience nature from a very unusual perspective. The treetop path consists of a 200-meter-long wooden-steel structure with four observation towers. The path leads you barrier-free and very gradually into the fascinating world of treetops at 23 meters above ground. Up there, a level footbridge leads to the treetops and their special flora and fauna. 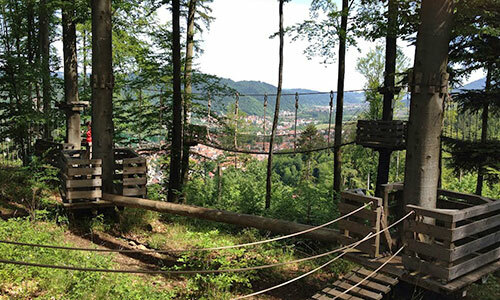 Daring visitors can choose an unusual way back after the treetop path. On Europe’s longest high-speed tube slide, it is an incredible shot ride back to the starting point.